Cuts compound mitres. 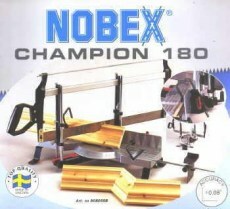 Cut depth 125mm, blade 500mm. 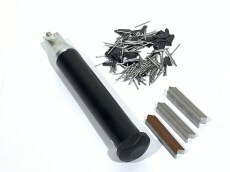 Kit comprises punch, which sets V nails, flexi points and panel pins and 1 x packet of panel pins, 1 x packet of flexi points and 300 mixed hard V nails.